Join one of six Armies and fight for the Armies of Order (Dwarf, High Elf and Empire) or the Armies of Destruction (Greenskin, Dark Elf, or Chaos). Wage war across three unique battlefronts. Next generation Realm vs. Realm game system integrating both PvP combat and PvE quests on the same map in support of the greater war. War is everywhere in Warhammer Online: Age of Reckoning (WAR), the new MMORPG from the creators of Dark Age of Camelot. Based on Games Workshop’s popular Warhammer fantasy war game, WAR features next generation Realm vs. Realm (RvR) game play that will immerse players in a world of perpetual conflict for years to come. Battle to the end against rivals. Wander through vivid env ironments. Upon entering WAR, players must determine their allegiance and join an army. Those inclined towards the side of good may fight for the Realm of Order as an obstinate Dwarf, noble High Elf, or loyal human soldier of the Empire. Those inclined towards darker deeds may side with the sinister Realm of Destruction as a savage Greenskin (Orc o r Goblin), corrupt Dark Elf, or marauding human worshiper of Chaos. 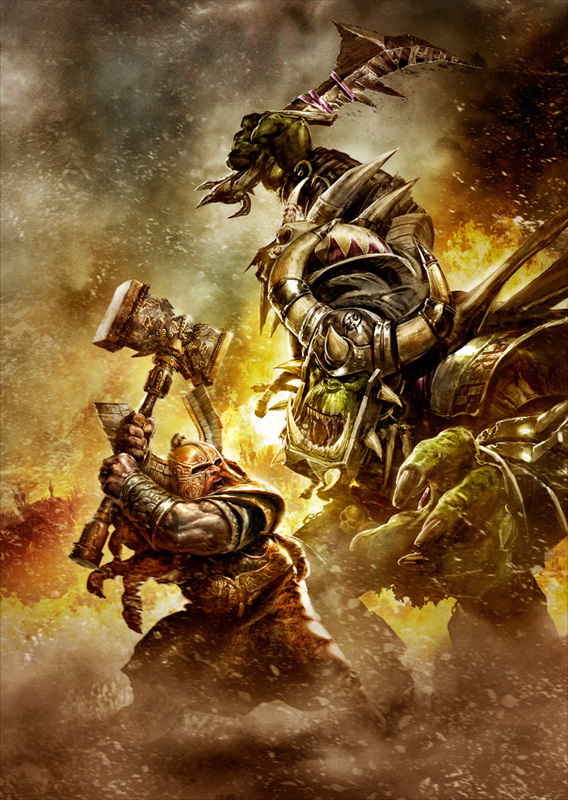 RvR combat takes place on three fronts where ancient foes wage an unending war – Dwarfs vs. Greenskins, High Elf vs. 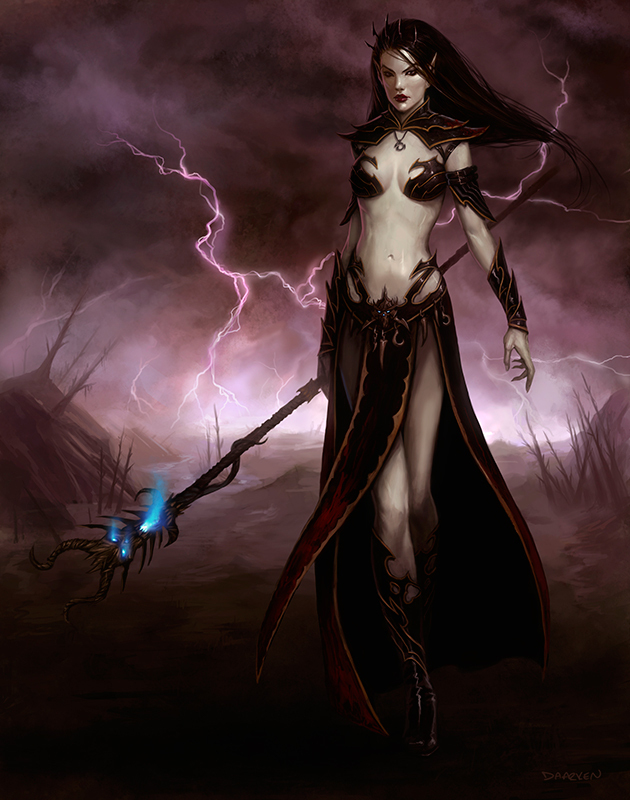 Dark Elf, and Empire vs. Chaos. Players begin the game fighting their ancestral enemy, but are free to journey to other fronts to help their allies in their ongoing struggles. The ultimate goal in RvR combat is the sacking of the enemy’s capital city. To do this, an army must invade and take control of the opposition’s homeland. Deciding battles take place in the persistent game world on objective-based battlefields and around fortified keeps that must be taken or defended, as well as in instanced Scenarios that contribute to zone control. 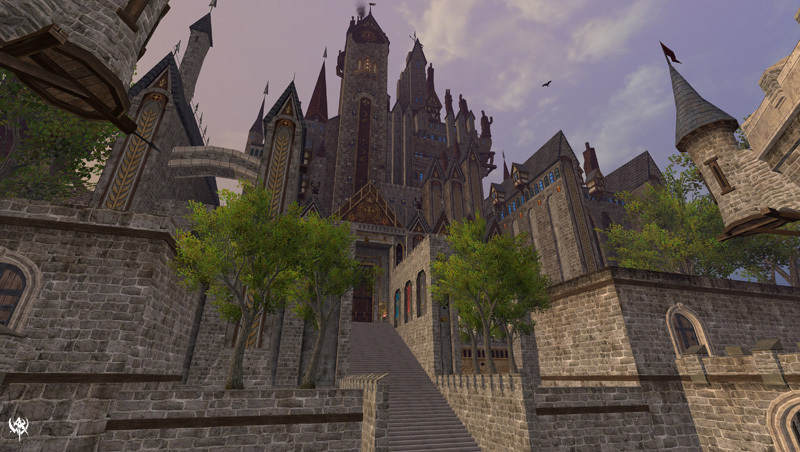 For the first time, players can engage in Public Quests; these community driven Player vs. 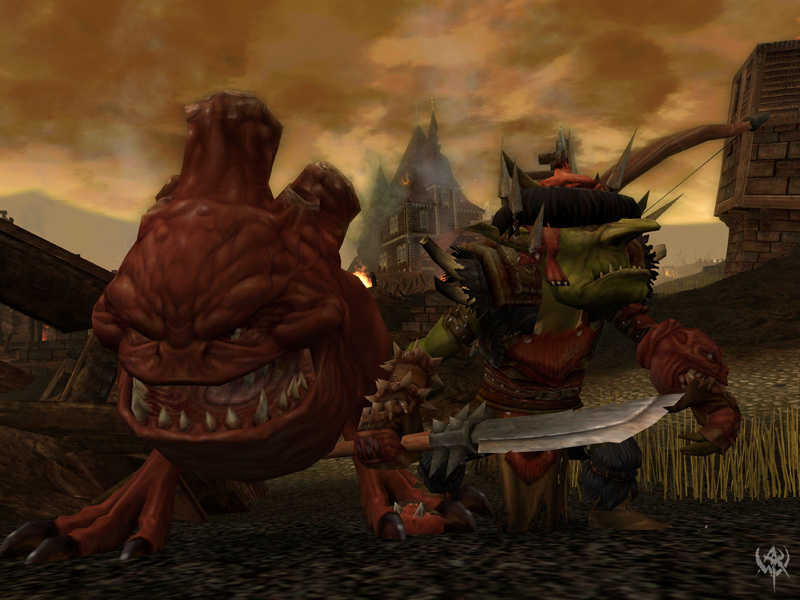 Environment (PvE) quests help to advance the game’s story and allow all allied players within a certain location to participate in an ongoing, multi-stage battle. This is an example of how every aspect of the game, including PvE content, is geared towards the greater war in some important way. Players are not required to participate in Player vs. Player (PvP) combat, and may aid in the RvR war effort and enjoy the game in its entirety via PvE content. Dominated by force of arms and magic, Games Workshop’s popular Warhammer fantasy world provides a rich setting for hundreds of thousands of players to experience the epic nature of war and the glory of battle. Open World RvR: Participate in melee skirmishes, objective-based battles and keep sieges. Scenarios: Join instanced battles with up to 24 players per side for multi-player combat action, including Capture the Flag, Murder Ball, and more. Capital City Siege: Take part in an ongoing campaign to invade an enemy’s land and sack their capital city. Journey to the frontlines and undertake a wide variety of PvE quest types related to an army’s ongoing war efforts, including the new Public Quests: multi-staged, communal quests to be completed by allied players fighting together against overwhelming odds. 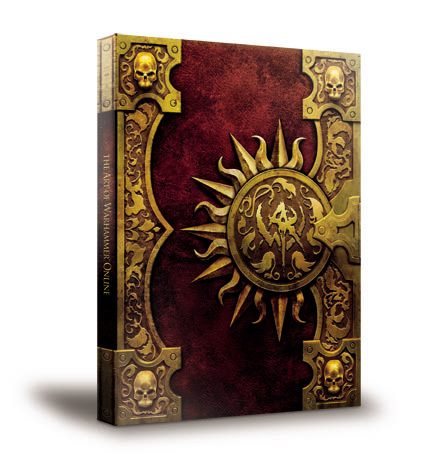 Embark on an epic quest to complete the Tome of Knowledge and unlock Warhammer lore, detailed monster information, new abilities and rewards, and major story plot lines. A robust combat system allows players to customize their character’s combat abilities with Career Masteries, Tactics, and Morale Skills. Explore ma ssive Living Cities that become more or less prosperous based on a Realm’s overall performance in the ongoing war. Navigate a maze of twisting streets, visit the local tavern, explore a dark undercity, and meet colorful personalities in a city full of adventure. 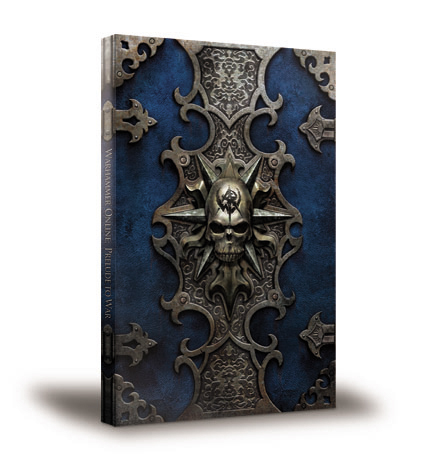 Drawing from a quarter century of highly detailed source material, Warhammer Online: Age of Reckoning brings Games Workshop’s fantasy world to life in a way that will allow players to create characters destined for great deeds and glory on the field of battle. 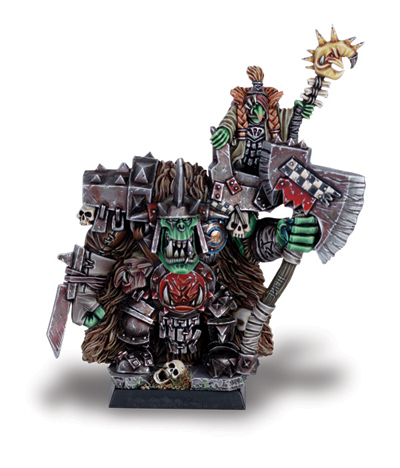 Exclusive Games Workshop Miniature - Greenskin Warboss, Grumlok, and his shaman, Gazbag. The original graphic novel "Warhammer Online: Prelude To War," by acclaimed Games Workshop writ er Graham McNeill, and illustrated by Chad Hardin, Joe Abraham, Rahsan Ekedal, Tony Parker, and Kevin Hopgood. Twelve additional quests in the Tome of Knowledge, each offering an exciting reward, as well as an unique character title.